The room had been designed as a laundry room with the east wall constructed as an exterior wall. The previous Homeowner had knocked through the east wall and built a 'bonus' room over the garage. The Homeowners wanted the bonus room to be converted to a 'media-exercise' room where family and friends could gather to play games, watch tv and work out while enjoying the beautiful view. 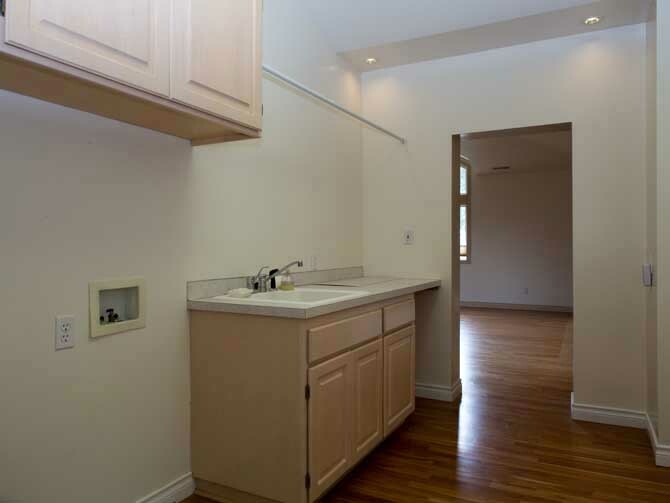 However, the Homeowners did not want their guest traipsing through their dark and somewhat dank laundry room. 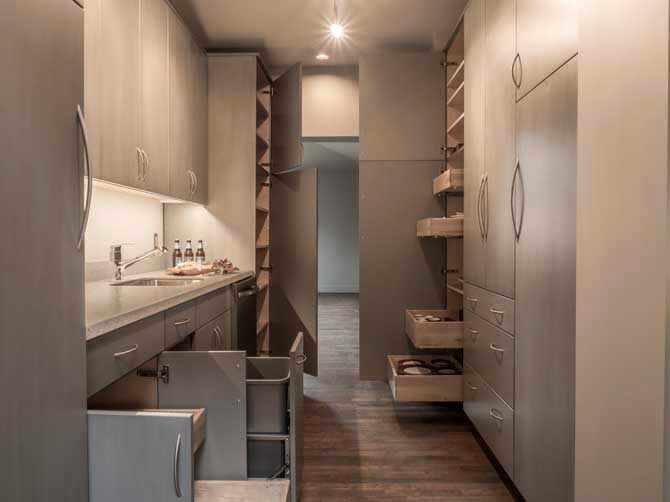 Further, the home over all was short on storage space. The solution was to relocate the laundry room to another part of the house and convert the room to a wet bar with oodles of storage. 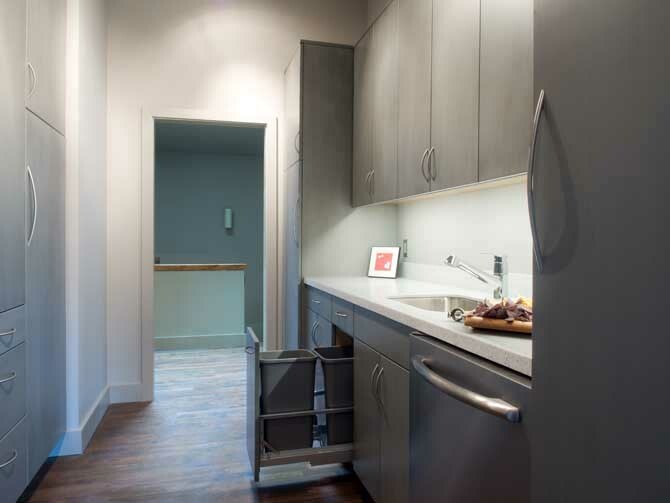 A beverage fridge and sink with ample countertop space makes for a convenient staging area for snacks and beverages when entertaining. By relocating the entry door, the adjacent wall could be moved out allowing ample space for the tall storage cabinets which now house an extensive collection of china and family heirlooms. 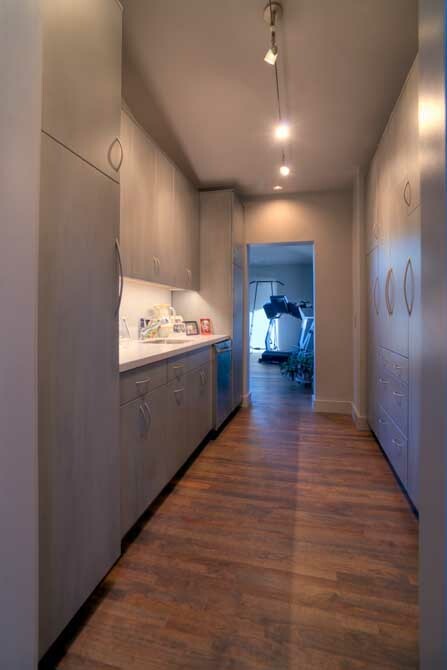 Beautiful painted and glazed gray cabinets along with enhanced lighting make this space a welcoming entry to the media-exercise room. 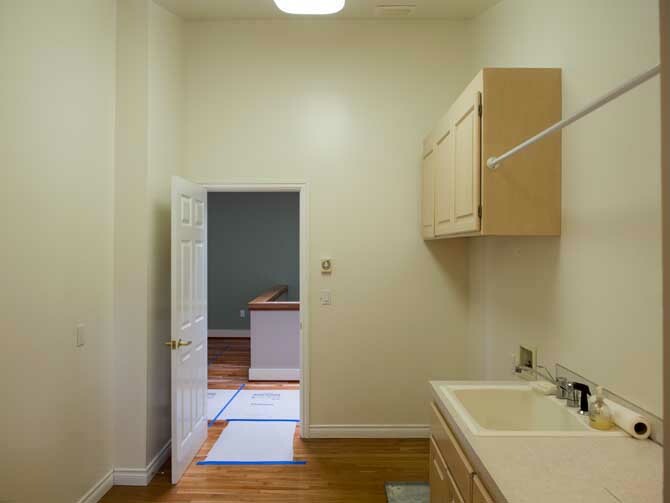 "We used A Kitchen That Works for an extensive remodel of our newly purchased townhome. They designed our new kitchen, master bath and walk-in closet. They took down walls and put up new ones, changed plumbing and wiring, installed fixtures, and appliances. Everything was done on schedule and was done perfectly! They went above and beyond our expectations and we are thrilled with the results. We have already referred two friends to Molly and Clive and hope to refer many more. We give them A+." ~ Becky S.